One of the things I love about playing Irish music is that it’s all about the music and sharing tunes. Some of the tunes we play are literally hundreds of years old and have been passed down from generation to generation and from country to country. I mean seriously, isn’t that amazing? Most of the Irish musicians I have met along the way have been nothing but enthusiastic about sharing what they know. And I think that is what makes this genre so special, other than the tunes of course. 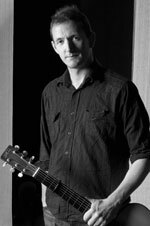 I recently had the opportunity to chat with master Irish guitarist, John Doyle while he packed for his trip to Celtic Connections in Glasgow, Scotland. We talked about his recent Grammy nomination, his life as a musician and shared thoughts about playing in sessions. John was an original member of the band Solas, has played for the president, continues to play alongside some of the world’s best traditional Irish musicians and now both he and Liz Carroll have been nominated for a Grammy award for their latest CD In Play. It’s no wonder he’s one of the most sought-after session musicians this side of the pond (and probably the other side too). Born in Dublin, Ireland, from a musical family, John has been playing professionally since the age of 16. John’s grandfather played accordion, his father was a singer and also played accordion. And although he loved the accordion, he was drawn to the guitar. “There was a guitar in the house so I started playing. It was right-handed guitar so I played it upside down for a few years.” Some of the musicians that inspired John include Arty McGlynn, Paul Brady, Planxty, the Bothy Band and various English folk players. John told me that what he loves most about being a musician is the community of people he meets along the way. “It’s a fantastic community of people,” he said. “I love to travel and I love to play music.” His passion for music and people is truly evident when you see him play. He has a rhythmic style like no other with a clear but bassy sound. He uses heavy strings on his guitar. The bottom string is 70 when they are usually 56 and he plays in Drop D.
When asked to give advice to players who want to be better at playing sessions he offered the following: The secret to getting better at playing in sessions is to play with people better than you, listen to good players, and practice. You can take lessons but in the end only you can teach yourself how to play. John has had a whirlwind of a career and continues to wow audiences with his percussive playing, his sweet Irish voice and his jovial personality. He didn’t know when he would be back in Vermont but feel free to check his website for tour dates: www.johndoylemusic.com. I wish him the best luck on the 31st in hopes that he goes home with the Grammy. I also hope to catch a performance of him and Karan Casey next month at Club Passim in Cambridge, MA and I hope to see you there too!